What It Is: It’s ba-ck. 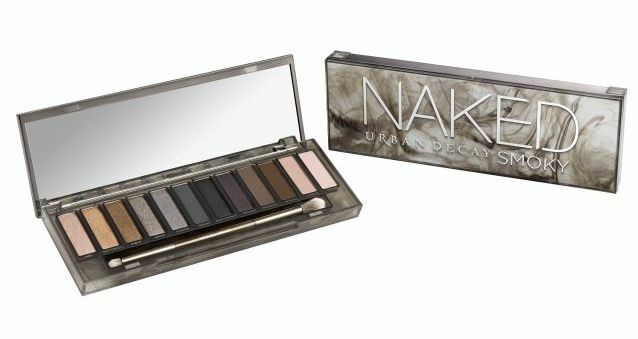 Well, it’s not like Urban Decay’s bestselling Naked palettes ever disappeared, but they’ve added to the collection with another full-sized palette, this time focused on creating the ultimate smoky eye. Naked Smoky features 9 new shades and 3 limited edition favourites from past palettes, with a heavier focus on darker tones this time around. It also includes a mirror, a double ended brush, and a handy guide to creating four smoking hot looks. What I particularly love about this kit is it’s not just about the standard greys and blacks (although they are a focus) – you’ve got some surprising swatches of brown, gold, and even purple to serve up every smoky eye variation imaginable. Who It’s For: Your Naked-palette collecting wife, because of course. Your makeup artist friend, as another awesome tool in her arsenal. Your getting into beauty products daughter – the great thing about a set like this is she can experiment to her heart’s content! BONUS entry into yesterday’s Origami giveaway – tell me in the comments below, what do you think of Urban Decay’s newest Naked palette? Tres pretty or what? There is nothing like a new palette to beautify your look. Very pretty colors and case. It’s a little big to carry with you though. beautiful! I love the palette! light to dark! There are some wonderful colours that everyone can use. I love the colors in the palette, as they would be perfect for me – thank you! I love the colors in the palette as they would be perfect for me – thank you! Those colours look ideal for a number of looks and as such it would be great to have them! I love it, their palettes are always great. I love the looks of this palette! It’s a great, moody range of shades. It is a lovely palette, although, I’m not sure if I would use every colour. Great to have a bunch of colours that would work together, mix and match! I love the Naked Smoky. I try to get this look with a few separate colours, and it doesn’t really work out. A collection of all these colours is great. This is tres pretty. And very wearable colours. Tres pretty indeed! I like it! Love, love, love. I have the older UD Naked, and can’t wait to get this one ! I love these colours! So beautiful! I think it’s pretty. Not a fan of pinks, as my skin is pale though. I love pinks, but shimmery makes me look older. Prefer a mat finish. So many great shades in one place!